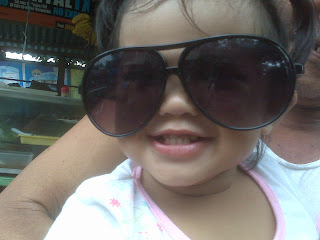 tarat wearing an oversized shades. she knows she looks adorable that's why she gave me that smile for a photo. as in cute kaau c tarat. kuyoga sa manila, geng. ako lang bahala patotoy. hehehe.